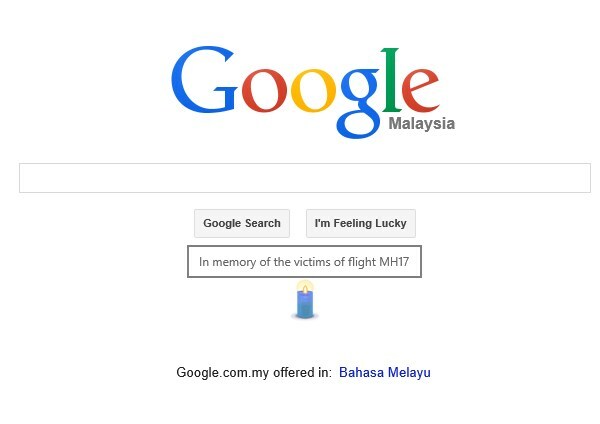 [UPDATE: 2:26am, 19 July] Google Malaysia has lit a candle on its front page, in memory of MH17. Read more to see it. [UPDATE: 11:29pm, 18 July] PM Najib Razak has announced that all flags are to be flown at half-mast until this coming Monday. 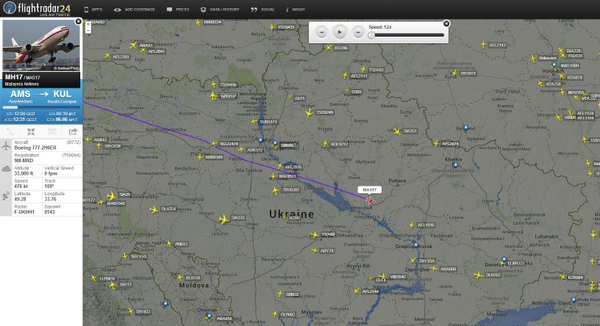 [UPDATE: 4:36pm, 18 July] The second black box of flight MH17 has been found. More details after the jump. [UPDATE: 2:00pm, 18 July] Malaysia Airlines has released another statement, shedding light on the aircraft’s bill of health. [UPDATE: 9:19AM, 18 July]: Malaysia Airlines has released a media statement, revising the total number of passengers on board. [UPDATE: 4:45AM, 18 July]: The MH17 press conference with PM Najib Razak has finally taken place. Read more for details. [UPDATE: 2:18AM, 18 July]: We’ve posted a clip from a RT that summarises the latest update on flight MH17 so far. Read more to view. [UPDATE: 2:03AM, 18 July]: The Prime Minister Najib Razak has arrived at KLIA to be briefed on the situation regarding MH17. A press conference has apparently been scheduled at 400AM. Read more for details. [UPDATE: 12:30AM, 18 July]: Malaysia Airlines has published its first media statement regarding this incident. Read more for the full statement. [UPDATE: 1:16AM, 18 July]: Photos from the crash site are starting to appear online. May contain graphic images, proceed with caution. There are more here in Reuters’ photo slideshow. [UPDATE: 2:03AM, 18 July]: The PM has arrived at KLIA to be briefed on the situation. [UPDATE: 4:45AM, 18 July]: The press conference in KLIA that was supposed to take place at 400AM has finally happened and Prime Minister Najib Razak has confirmed that it was indeed Malaysia Airlines flight MH17 that crashed down in Eastern Ukraine. Here are other details that the PM has mentioned at the press conference: – Flight path was declared safe by IATA – No distress call was made by MH17. – Ukrainian authorities believed that the plane was shot down but at this stage, the Malaysian government is not able to verify the cause. However, if that is indeed the case, Malaysia insists that the person responsible for the tragedy must be brought to justice swiftly. – Malaysian will be sending a special disaster rescue team and a medical team to Kiev in order to provide assistance at the crash site. – Ukrainian president has confirmed that the Ukrainian government will negotiate with the rebels in Eastern Ukraine in order to establish a humanitarian corridor that would allow access to the crash site. The full statement is available at MAS official website. The national airline has also stated that it is now in the process of notifying the next-of-kin, before releasing the passenger manifest. https://twitter.com/MAS/statuses/489935521209008129 In addition, MAS also reiterated that the flight path taken by flight MH17 was declared safe by the International Civil Aviation Organisation, and that there were no restrictions on the flight route taken. However, in the aftermath of this tragedy, the airline has stated that with immediate effect, all European flights operated by MAS will be taking alternative routes. The full statement is available here. 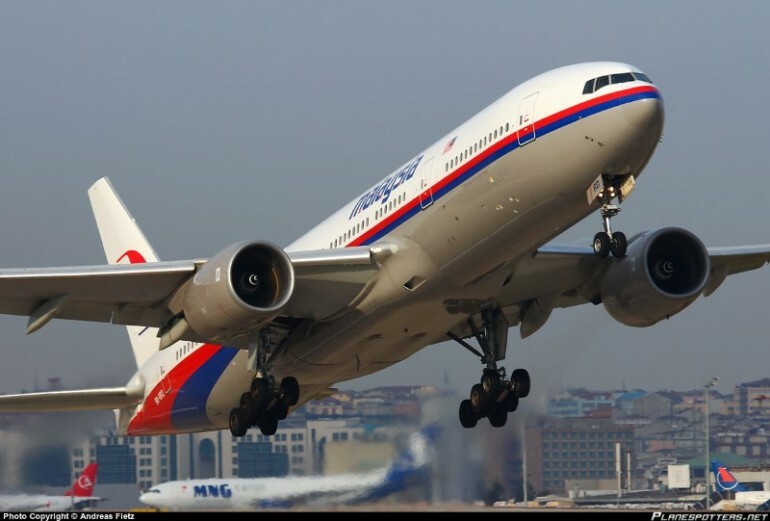 [UPDATE: 2:00PM, 18 July]: Malaysia Airlines has released another statement to the media, this time on MH17’s Boeing 777 aircraft. According to the airline, the Boeing 777-200 had just completed its scheduled maintenance check seven days ago, and has had a clean track record in its 17 years of service. It was manufactured in July 1997. https://twitter.com/MAS/status/490010396808339458 At its last scheduled maintenance check, the aircraft was in a clean bill of health, and all communication systems on the aeroplane was functioning normally. The full statement is available here. “Today, regardless of nationalities, we are all united in grief,” – PM Najib Razak. Our thoughts and prayers are with those that perished in the MH17 tragedy, as well as their family members and loved ones.